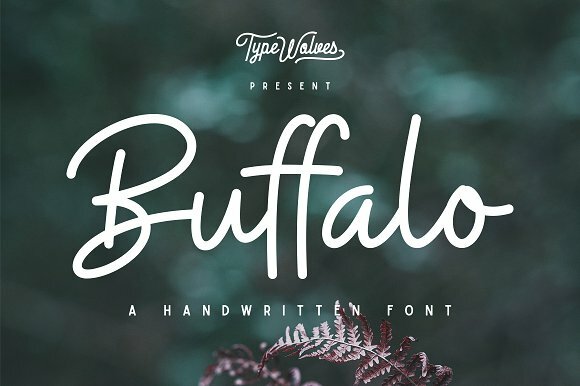 Buffalo Font is a modern handwritten typeface created by Typewolves which comes with an alternate character, two sets of lowercase & uppercase letters, ligatures, punctuation, numbers and multilingual support. It is ideal for any kind of project such as greeting cars, magazine, packaging, branding end so on. Have fun! A font description published on Wednesday, February 15th, 2017 in Fonts, Typewolves by Alexandra that has 3,453 views.